Aluminum Carbon Nanotubes are generally immediately available in most volumes. Additional technical, research and safety (MSDS) information is available. 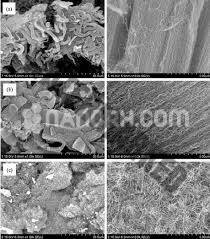 Carbon Nanotubes are Single-Walled, Double Walled and Multi-Walled black nano scale cylindrical tubes of graphitic carbon with numerous applications. Aluminum Carbon Nanotubes are generally immediately available in most volumes. Additional technical, research and safety (MSDS) information are available. Carbon Nanotubes are Single-Walled, Double Walled and Multi-Walled black nanoscale cylindrical tubes of graphitic carbon with numerous applications. 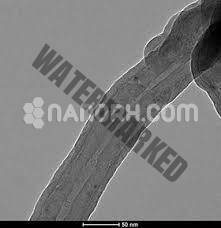 Carbon Nanotubes are the stiffest and strongest known fibers and have unique electrical properties. When used as reinforcement fibers, carbon nanotubes can improve the quality and properties of metal, polymer, and ceramics. Applications for AE Carbon Nanotubes™ include in flat screen displays, scanning probe microscopes in brushes for commercial electric motors, and in sensing devices and because of their strength in numerous aerospace and automotive uses, in body armor and tear-resistant cloth fibers and textiles and stronger and lighter sports equipment. 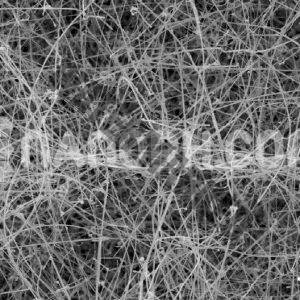 Carbon nanotubes can behave like a conductive metallic or semiconductor depending on their structure, which is useful for nanoscale electronic devices and in electrically conductive films in coatings, plastics, nanowire, nanofiber and in certain bioscience applications. Recently, carbon nanotubes have been demonstrated to create the “darkest” known material absorbing all wavelengths or “colors” of light which will prove useful in solar and electronic applications.